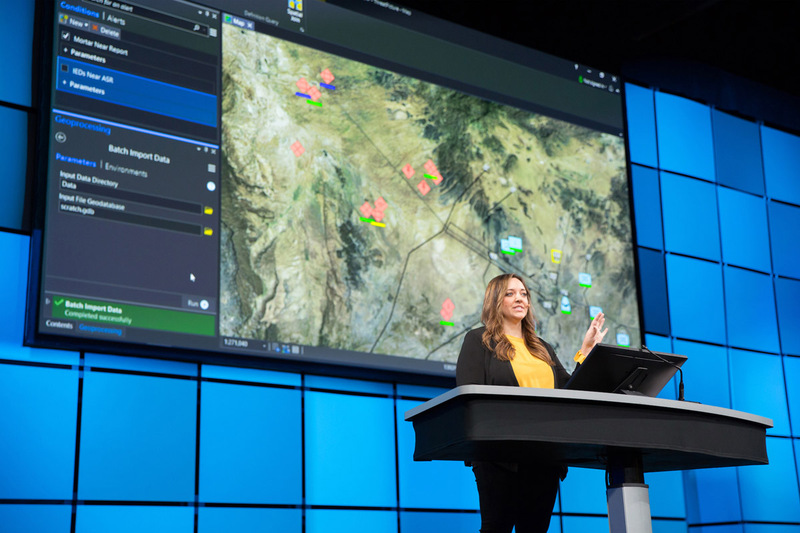 Redlands, California—Esri, the global leader in spatial analytics, today announced that it is releasing the Intelligence Configuration for ArcGIS Pro (ICAP), a workstation for intelligence analysts. ICAP leverages ArcGIS Pro SDK to provide a custom managed configuration and add-ins, offering streamlined user experiences and specialized tools to aid analysts in examining relationships and patterns and determining probabilities relating to the target’s most likely course of action.The scale, complexity, nature, and pace of modern conflicts require a new approach to delivering intelligence capabilities. For instance, when tracking smugglers who are crossing borders, an intelligence analyst has a mass of point locations—received through observations, sensors, and reports—and can use a spatial query in ICAP to filter for the relevant data and identify the smugglers’ possible routes. The analyst can visualize the relationships between the people, groups, and objects, and determine the threat’s likely course of action. Link charts—Intelligence Configuration for ArcGIS Pro provides the ability to visualize entities and their relationships. This capability allows analysts to easily see, edit, and manipulate link diagrams of people, groups, and events that would otherwise be viewed in a table or on a map. In one single interface, analysts can see the complex relationships between different assets, with minimal data and little or no learning curve. The link chart is created dynamically based on the source data, which can be manipulated via the chart or the map. Conditions and alerts—To ease the burden of filtering and querying data to discover its value, ICAP provides a way for analysts to designate conditions based on a set of queries and then be alerted when these conditions are met. For instance, when a mortar activity is within 7 kilometers of a reported location, an alert notifies the analyst, and the activity is logged for further analysis. Data management—ArcGIS Pro already has many robust data management tools and workflows. To better support intelligence analysts, ICAP will bring the most commonly used data management tools to the forefront, placing widely used tools in a custom data management ribbon. In addition, ICAP introduces a tool that grabs files commonly used by the intelligence analyst (such as .shp, .kml, and .kmz) and adds them to the map with the right symbology, including standard 2525 military symbology. To learn more about the new Intelligence Configuration for ArcGIS Pro, visit go.esri.com/GEOINT2018_PR.